So, it’s a new year and these are my first vlogs of 2014. Amazing stuff here, people. Eight and a half minutes of pure whatever. The first two videos are Mama Kat vlog prompts and the last one is a Mommy TMI. *Mommy TMI with More Than Mommies. hands before touching it, and be sure to come back often to tell it how cute it is! Hey. I have blog and sometimes I write on it and sometimes I make videos and sometimes I don’t do anything. Whatever. After missing 6 weeks of Mommy TMI vlogs, I’m back. Until I’m not again. 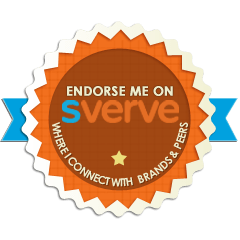 Janene and Christine from More than Mommies have some questions and I have some answers. 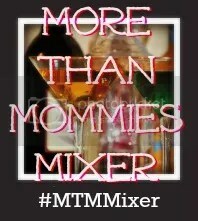 You can check out the other vloggers over at the (last) More Than Mommy Mixer. If you a loyal viewer of my YouTube Channel (because clearly you have no life or friends, much like myself) and you want me to answer the vlog prompts from the previous 6 Mommy TMIs that I missed, just leave me a comment and let me know. The questions are below. -What is your favorite Thanksgiving side dish, and why would anyone top a vegetable with marshmallows? -Tell us your favorite awkward neighbor story. -What are your kids’ most persistent tactics to delay bedtime? Why do they always win? -What is your favorite fall flavor? -When is the most scared you’ve ever been? -What is your most memorable Halloween costume from your childhood? -What is your favorite book? -What is your Go-To recipe? -What is the craziest thing hanging on your fridge? -What one word best describes you? -What is your favorite color? -What was your most memorable vacation as a child? 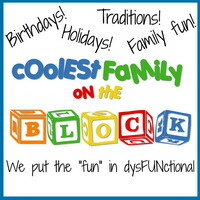 -What is the one toy of your kids’ that you would play with even if they weren’t there because it is so much fun? -In one sentence, what is your reaction when you hear the UPS truck pull up to your house? -What holiday or event are you already counting down the days to? Random stuff about me that I’m sure no one cares about. But isn’t that the whole point of my entire blog? Pretty much. When do you start celebrating Christmas? Who is the hardest person to shop for? What is your awesomely embarrassing fashion trend? Would you like me to make more Mommy TMI vlogs? 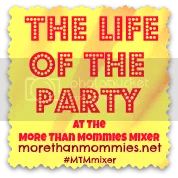 Be sure to stop by the More Than Mommies Mixer to link up your vlog, blog, Twitter, Facebook, and Google+…I’m co-hosting this week as the Life of the Party! …and you can find even more of that good stuff on my YouTube channel (subscribe!) and my Vlog Magic page. You can make your own Mommy TMI vlog and link it up with the More Than Mommies Mixer…or you can just link up your blog and get your blog hop on. Pretty ironic after all of my social awkwardness a few weeks ago, but here I am…the Life of the Party! 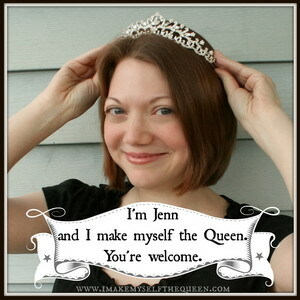 Janene and Christine from More Than Mommies have started a vlogging link up: Mommy TMI!